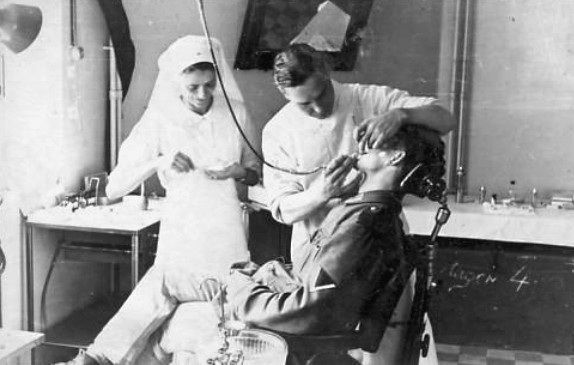 Originally named the 'Wonthaggi Miners' Friendly Society's Dental Clinic', the Miners’ Dental Clinic has been a pillar of the Wonthaggi community since opening in 1927. 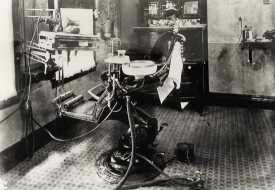 Mr. Meredith was the first dentist to be employed at the clinic, who brought with him his own 'dental mechanic'. While we have moved on to modern dental and orthodontic practices, the history of our clinic has helped us establish a deep-rooted connection to the surrounding communities. We are proud that our dental clinic is regularly visited by patients from Cowes, Korumburra, Wonthaggi, Leongatha and all over the Bass Coast and South Gippsland regions. Opened with the view that the clinic was for 'the health benefit of the community', this is a mantra that we continually strive to achieve to this day. Thankfully though, the clinic no longer looks like the images below! View our dentist profiles to find out more about the faces behind Miners’ Dental Clinic. Each dentist at our clinic is fully qualified, highly experienced and completely committed to delivering a high standard of dental and orthodontic care to you and your family. Whether you are coming in for an appointment or just have a quick enquiry over the phone, they are always happy to help! We strive to include each of these principles in everything that we do to ensure that we continue to meet the needs of the communities we serve. Read more about our values here. To schedule a booking or make a general enquiry, get in touch with us on the details below and we will do whatever we can to meet your needs.